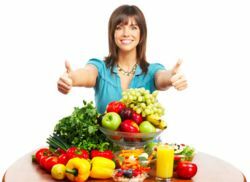 Covering raw food diet plan, benefits, menu, recipes and weight loss. 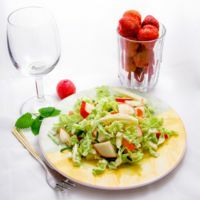 The raw food diet plan is a pure vegetarian diet, based on mostly raw organic fruits and vegetables, beans, nuts, seeds, dried fruits, grains, legumes, seaweed, young coconut milk, purified water, freshly juiced fruit and vegetables and unprocessed or natural foods. Food is consumed in its natural whole state and not heated above 116 degrees fahrenheit, or 46 degrees celsius. This is because above this temperature, the enzymes that are found in food are destroyed along with some other minerals which are delicate. When enzymes are absent, food is difficult to digest. However, some critics of the raw food diet plan have said the loss of enzymes in the food is counteracted by the enzymes that we have in our bodies which perform the same function. You may have either heard of this diet in the circles of eating healthy and are considering giving it a try or you just want to know what it is about. 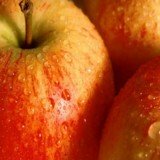 Starting at the basics; the foundation of a raw food diet plan is fruits and vegetables. Should you want to embark on this diet, you are free to choose the route that will work for you best. You can either go 100 per cent all out and be radical about it, or you can take your teeney-weeney steps to get there, the most important thing would be getting there, thus achieving your goal. Let your body be your guide as you make your transition. When you cook fats and oils, they change and become harmful substances which clog our arteries and cause mucous. Raw oils and fats are highly beneficial, in small amounts though, and necessary for maintaining healthy brain function. Omega 3 oils are vital for maintaining healthy brain function and are said to help elevate our moods, and prevent depression. Good sources of Omega 3 oils are seafood, walnuts, most green vegetables and free-range, grass-fed meats which contain double the amounts of omega 3 than the grain-fed meats. We need raw oils and fats in the diet to help the body produce hormones and maintain a healthy nervous system, etc. It is important that we follow the seasons, and eat foods that are especially in season. Our bodies can tell us when we have had enough of one fruit and are ready for a change. Remember how you sometimes begin to crave for, say, mangoes in the summer time? And not because you are pregnant, if you are a woman! Every food has a season. And it's a great thing to eat foods that are in season. You may read more in the article raw food diet. You will have more energy, clearer skin, weight loss and an improvement in emotional well-being. Raw foods eaten in their whole naural state cause vitamins, minerals, amino acids, enzymes, essential fats, phytonutrients, bioflavonoids and plant hormones to remain intact and ready to be absorbed by the body. Bioflavonoids are naturally occuring plant compounds that inhibit oxidation, fight against cancer-causing substances, ant-aging, and promote structure and function in the circulatory system. Phytonutrients are mainly found on the skin of many fruits and vegetables. They are also powerful antioxidants that can neutralize free radical damage. Free radicals are highly eactive chemical substances that can lead to premature aging and disease, and I am almost certain that none of us want to age before our time! Raw food has the best balance of water, nutrients and fiber to meet your body's needs. Therefore, the more raw foods you have, the more you will feel satiated and have more energy. Years ago, a German doctor found that he could overcome the migraine headaches he suffered from by consuming only raw food. When you plan your menu, ensure that you satisfy your hunger at every meal with fresh fruits, salads, and organic whole foods. By doing so, you will be learning to stabilize your blood sugar levels, lessen the chances of you craving for junk and sweet foods, and overally, in turn stabilize your mind and emotions. With this kind of diet, going at it slow and steady wins the race for you. So having this in mind, all you have to do is decide how much of the raw foods you would like to begin adding in to your weekly menu. Sustainability is what counts, so go at it in your own pace. Whether you choose the way of the middle of the road, that is, 50% raw, or three quarters of the way, 75% raw, or all the way raw, 100%, changing to organic whole foods will definitely make a distinct difference to the way you look and feel. Read more in the article raw food diet menu. If you are aiming for 50% raw, make sure that at least half of your plate is raw food. If you are aiming a bit further, 75%, try to eat an all-raw breakfast and make sure that three quarters of your plate for your other meals is raw. Here is an important tip- as the day progresses, you are most likely to crave for whatever you start your day off with. So you can start your day with a fruit or a smoothie and you will be guaranteed to make healthier choices for the rest of the day! To learn more, read the article raw food diet. Recipes are one of the easiest things to come up with. All you need is some determination, creativity, and most of all, some inspiration. You need to know the food pyramid diagram also in order for you to know the quantities that you need to have in your diet. For breakfast, you could start of with a detoxifying green juice, later on followed by a smoothie or a fruit salad. 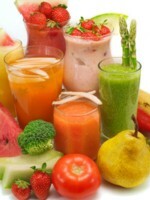 For lunch, some raw foodists will continue eating whole fruit or smoothies, some however, eat blended vegatable soups. And for supper, you can have a salad with chopped avocado or nuts, so that your meal will fil you up. Let your imagination run and see what you can come up with. For some recipe ideas, you may read raw food diet recipes.